Jerry weighs in on Aa ron Hernandez and compares it to some personal experiences as a teacher. I believe I have referenced the fact that I am a veteran high school teacher often enough that it shouldn’t surprise you that I can’t help but look at the Aaron Hernandez situation any other way but than with the eye of a teacher. Most of my 40 years have been spent working with kids who are at-risk of dropping out because of involvement with drugs, the courts, homelessness, living in single parent situations or maybe being parents themselves. Although I have not worked anyone who I would consider a gang member, I have worked with a great many “wannabes”, and have seen how the culture and codes they try to embrace puts them in real danger of compromising their futures. Since the day Hernandez was arrested, I have been thinking a great deal about my former student, Anita Paley, whose murder a few months short of her 23rd birthday was the subject of the Steve Jackson book from 2001, “Rough Trade”. Why would the arrest for murder of this hulking 23 year old professional football player make me recall the death of a 5′, 105 pound young blonde murder victim? Because I believe, in both cases, that they almost overcame difficult backgrounds to save themselves and make new and successful lives. Almost…. Unfortunately, in each case, they fell victim to an addiction of one kind or another. 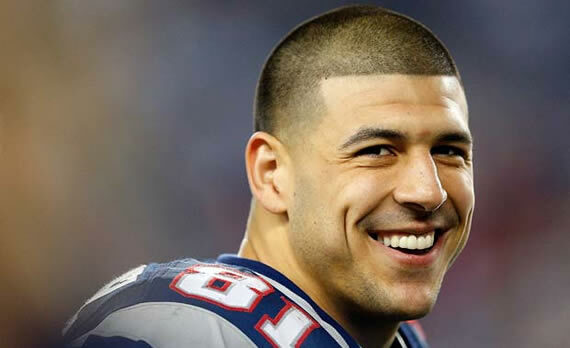 I believe, in Hernandez’s case, the addiction was a way of life and its culture that he could not break free from, where with Anita it was crack cocaine that started a chain of events that led to prostitution, and eventually, death. I have trouble watching the interview Hernandez gave right after signing his $40 million extension, because he seems so young and excited. I think he was sincere in proclaiming that he had bought into the Patriots approach and he, at least for the moment, really believed he had changed. I have to assume that New England also believed in him, and that was why they took the chance and offered him the extension. But the Patriots approach is based on having a veteran core of guys who demonstrate for the younger ones how to conduct themselves. This is an approach that requires that the new players spend some of their free time with the veterans. It appears now that, although he was considered a “good” teammate, Hernandez kept to himself after practice and was unable to break free of his “friends” and the gang culture. This is a culture that abhors “snitching” above all else, and in my estimation, will prove to be at the heart of the murder of Odin Lloyd. It was that interview of Hernandez, and the hopefulness that he was projecting, that takes me back to the last time I saw Anita alive. She was in nursing school at the time, and had returned to the high school to conduct a community health project for one of her classes. I had morning cafeteria duty at the time, so it was fairly quiet and we were able to talk for a while. What I remember most, after almost 20 years, was the just how positive and hopeful she was, and how soft her face looked. I remember feeling very proud of her and believing that she was going to make it. It had to have been shortly after that, however, when things took a bad turn for her, and soon after that she was gone. I hope that it is clear, at this point, that I’m not trying to make excuses for Hernandez, or explain away what he has apparently done. I understand how important a father is to a 16 year old boy and the impact that losing him can have. 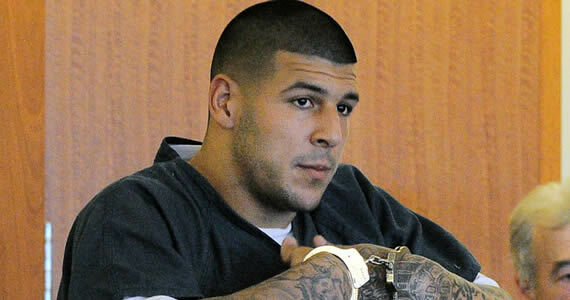 But the “moral Compass” of Aaron Hernandez had to have been already set at that point in his life. Set enough, at least, so that seven years later he should have known wrong from right. Not how a gang dictates it, but how society does, and that taking the life of Odin Lloyd, or in any way participating in that act, is grounds for losing not only his freedom, but his dreams as well. Both are very heavy prices to pay. I’m sure that this case will continue on for some time to come, appearing on both the front page as well as the sports section, but I think I’m done. I don’t plan on mentioning his name again until I do my Patriots preview next Fall. Anita, however, I will continue to think of often.